Patrick Allen & Associates Ltd were appointed to manage the architectural side of this build after planning consent had been obtained by a third party. This involved remedial works, re-designs of the layout and planning revisions as well as the design of the garage block. 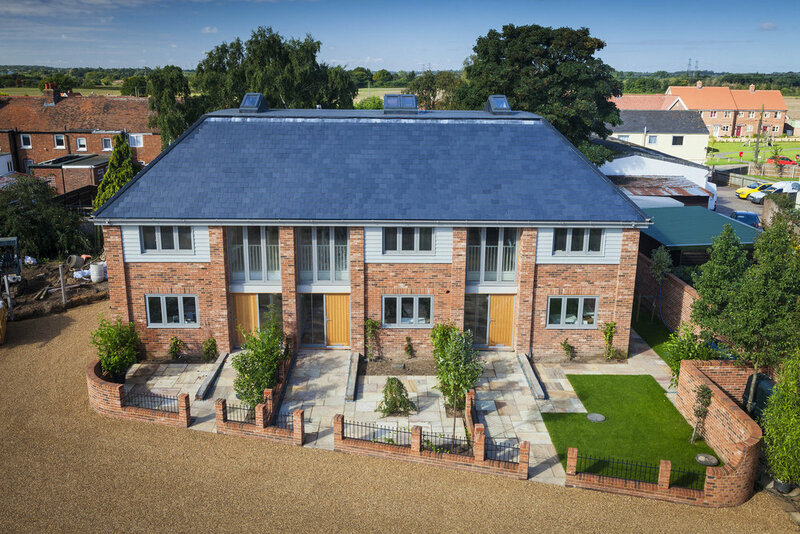 Key features were added, making the properties unique in character, such as the chamfered brickwork on the corner of Plot 1. 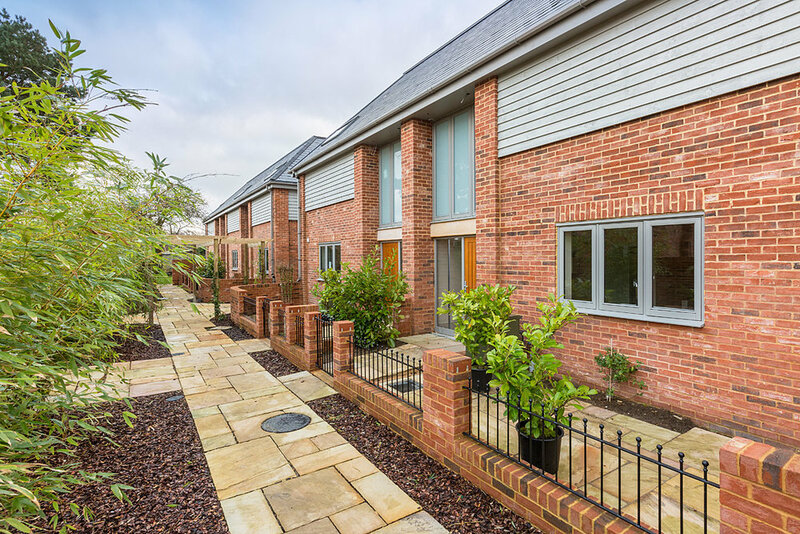 The client considered making the best use of space and the terraced properties were designed with attic trusses, ensuring large, light rooms for flexible first floor accommodation. Good quality bricks and the use of aluminium windows reflect the high quality of these attractive housing units. The developer took pride in the finishes, using natural materials wherever possible, including oak floors, limestone and marble tiles.